The opening day of Cheltenham Festivals’ gone by are without a doubt the best day of racing in the National Hunt racing calendar. The build up to the greatest show on turf builds gradually for months which explodes into life with the Supreme Novices’ Hurdle, greeted with the famous Cheltenham Roar. The Racing Post Arkle and Ultima Handicap Chase follow the curtain-raiser before the show piece event on a day 1 which is of course the Stan James Champion Hurdle. Annie Power was sensational last year. Quite unbelievably, she was allowed to go off as long as a 5/2 favourite but she didn’t look like losing after jumping the first hurdle. She had the field strung out turning for home and put aside any memories of her final flight fall in the Mares’ Hurdle 12 months previous to win by 4 and a half lengths. There may not be a horse of Annie Powers’ quality in there this year, but it is nonetheless an extremely competitive affair, with many horses holding claims. Last years 2nd and 4th return again in the form of My Tent Or Yours and The New One. Both have been here before and ran respectable races, and although their form has been to a decent standard this year, the market shows that their chances of winning are certainly not as high as previous years. My Tent Or Yours has been brushed aside by The New One and favourite Yanworth this year, and of the two The New One would have highest claims. He made Yanworth work hard in the Christmas Hurdle at Kempton and has genuine top course form. However, it would take some surprising improvement for him to reverse that form around, and he may be booked for a place finish at best despite having, according to his stable, the best prep for this race since that unlucky 3rd in the race a few years ago. The most interesting runner this year is certainly David Pipe’s novice Moon Racer. Confirmed for the race on Saturday by his owner Harry Drew live on ITV Racing, he said that the decision to run here rather than the Supreme Novices’ Hurdle being “an easy one”. David Pipe didn’t look so sure, but this horse has very strong course form when winning the Supreme Trial in November and also winning the Champion Bumper in 2015 when beating none other than Yanworth. He clearly has talent, but do you want to take a single figure price about a Novice who is rated 16lb inferior to the top rated here? He has so much improvement to make but after a supposed nice piece of work at Wincanton earlier last week it wouldn’t be a surprise for him to hit the frame. David Pipe has had previous success with a similar type in the race, too. Nicky Henderson’s pair are both single figure prices and have some question marks over their name. Brain Power is the typical improving handicapper that often pops up as an overbet type in this race. His last performance at Ascot in a very competitive handicap was very taking, though, and to win by 5L off 149 clearly makes him deserve his place in the line up. The each way value is slipping on this horse though and I certainly wouldn’t be taking anything less than 12-1 for this horse. Buvuer D’Air is a horse that I backed for the JLT last year, but has been reverted to hurdles by connections because the race is so open. His form ties nicely in with Petit Mouchior, when they battled at Aintree with Nicky Henderson’s charge coming out on top by a neck. Buveur D’Air is a slick jumper and has bags of talent, but I cannot get away from the fact that he would much prefer soft ground. The Festival is certain to be run on good to soft or better, and with him being just 4/1 he doesn’t look like value. Petit Mouchoir has obviously improved since that run behind Buvuer D’Air, and won the Irish Champion Hurdle with apparent ease in January. But I hold reservations about the form (Footpad just a length behind in 2nd) and whether this track will suit his front-running, keen going style. Yanworth is the one who ties much of this together. He has only been beaten in his last 8 starts by Yorkhill in the Neptune last year, which is clearly enticing, but he never wins in impressive fashion (barring his win on Trials Day last year in a canter). He beat The New One by 3L in the Christmas Hurdle but had to work hard for it, and the same for his win at Wincanton beating Ch’Tibello by 1 length which on face value isn’t good enough to win the race. But those tracks will not suit him as much as Cheltenham and surely a return to a stiffer track, with more of an emphasis on stamina, will suit. I would also add that the Neptune is a fantastic trial for the Champion Hurdle. Simon Munir and Isaac Souede have two entered at big prices that wouldn’t be without an each-way squeak and I want to mention them. Footpad was beaten a length by Petit Mouchoir as aforementioned but interestingly Willie Mullins was very confident in placing ahead of him at Cheltenham, which will suit his horse more than the Gigginstown runner. He was placed in the Triumph last year and with Ruby on board he could run into the money. Sceau Royal is a horse that I am very fond of, and whose jumping certainly would be good enough to make him competitive in a Champion Hurdle, but I was disappointed to see him find very little after travelling so well at Wincanton. The good ground will certainly play to his strengths. 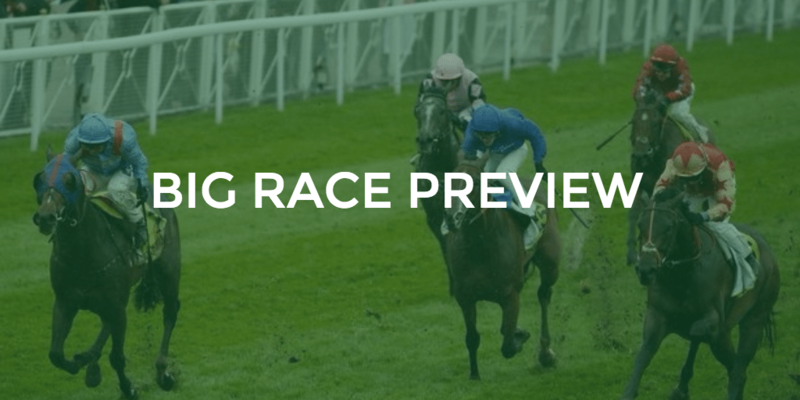 The race as a whole should see The New One and Petit Mouchior take the field along at a Championship pace, with the ones who can stay on the best from that pace being victorious. Whichever way you decide to bet, it is sure to be a fantastic renewal.